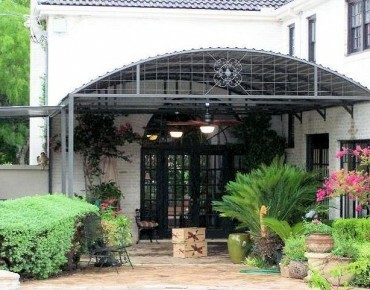 Carport San Antonio Patio Covers - Best Prices in San Antonio! 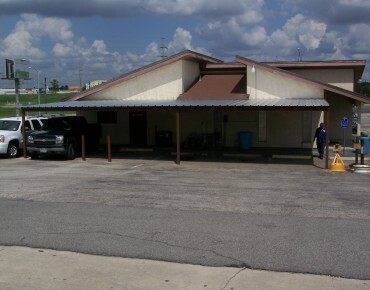 Carport San Antonio Patio Covers Awnings - Looking for a high quality yet reasonably priced Carport, Patio Cover or Awning? You have come to the right place! 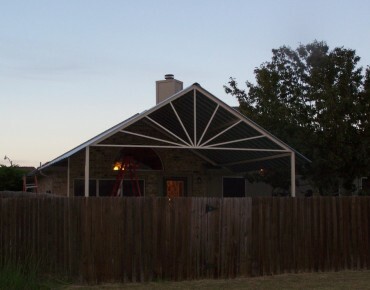 I have been building custom awnings, carports & patio covers in San Antonio and surrounding areas for over 20 years. I have the experience and knowledge to get it done right. 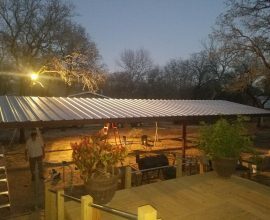 Low overhead (home based business) and my long relationship with steel and panel providers in San Antonio, make it very difficult for others to compete with my quality and prices. No one in San Antonio can provide the same quality, design assistance and professionalism that I can bring to your home or business. I am the designer and builder on each and every project. 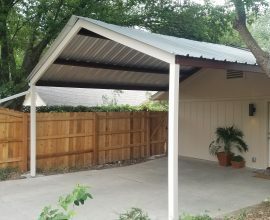 A quality carport, awning or patio cover will provide many years of shade and protection if designed and installed correctly. Get it done right and the first time, call me today. 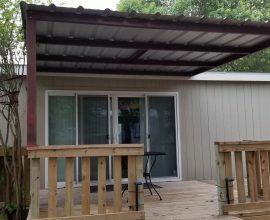 I can help you get more use from your Deck or Patio with one of our custom designed and installed carports, patio covers or awnings. 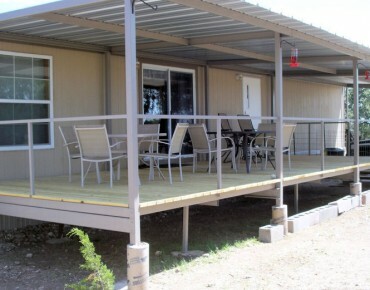 I have installed hundreds of steel patio covers and carports right here in San Antonio and surrounding cities. Please take a look at my gallery of many installations. I can get it done right, fast and for less than any reputable company here in San Antonio. A patio cover, awning or carports are a great “value add” to your home. Not only do they increase the value of your home, but you will enjoy your deck or patio year round. Imagine getting in a cool car in the hot summer days, or having family over under your patio cover. We can personalize each patio cover, carport or awning to meet your taste and needs. Be sure to take a look at my other projects, we can come up with an exclusive design and product to fit your needs!